Compassus is leading the transformation of healthcare delivery: continuously and measurably improving the quality of person-centered, physician-driven, team-based care. Compassus delivers outcome-based value through high-quality patient-centric care, expanding access to qualified individuals while putting compliance at the forefront and providing health care system cost savings. Compassus is a nationwide network of community-based hospice, palliative and home health care services. Our mission is to offer comfort and hope to patients and families facing serious illness. 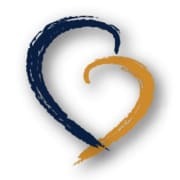 We support that mission with a commitment to three core values: compassion, integrity, and excellence.We are a Nashville, Tennessee-based company founded in 2006 with roots in hospice reaching back to 1979. Today, we have more than 140 locations in 30 states across the U.S. Our goals are to provide the highest quality care in every community in which we serve and to be both the provider and employer of choice.